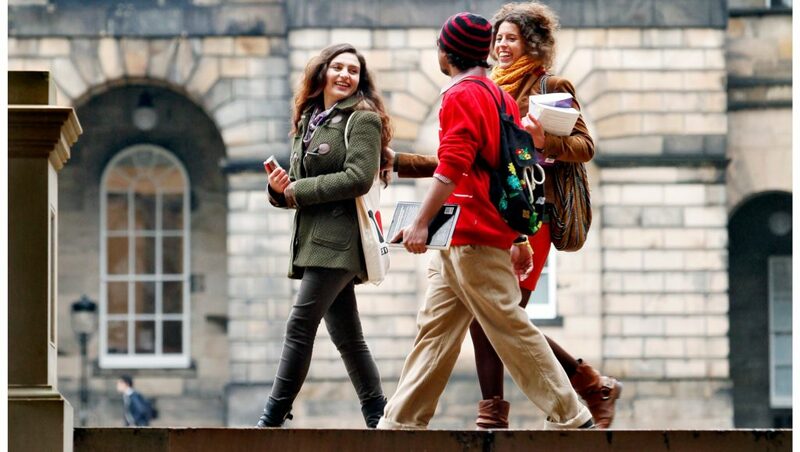 Supporting nearly 40,000 students, The University of Edinburgh is in the heart of Scotland’s capital. Opened in 1583, the University has a rich history and is world-renowned, with past students including Nobel laureates and Olympic champions to prime ministers and space explorers. Today the University continues to help shape the future and attracts many of the greatest minds from around the world. The University of Edinburgh is investing in a number of projects to enhance student experience. These are part of a big push to transform services through two large change programmes; Service Excellence and Digital Transformation. The University’s motivation was to significantly improve student experience; providing access to personal teaching timetables via students’ phones, a solution which would embrace the trend of “using your own device” to enable calendar access whilst on the go. Their incumbent solution for publishing teaching timetable event data to Office 365 student calendars wasn’t university–wide, but instead used a variety of off-the-shelf local solutions designed for school or college entry level, including some offering iCal feeds, meaning students had no choice but to subscribe to gain access to timetabling information, and others publishing timetable data via university websites or printed course handbooks. Implementing the Scientia Enterprise timetabling system in 2010 was intended to standardise the collection and scheduling of teaching timetable events, however the presentation of students’ personalised timetables still caused issues as it was nevertheless still accessed through a poor user interface, basic web application. The University’s initial research and development had built an integration-solution designed to publish their existing Scientia Enterprise data to Office 365 calendars, but this hit several performance issues due to its large datasets; over 4 million teaching events needing to be sent to students’ Office 365 calendars. S2 Unified’s CalSync product was proven and could meet the University’s requirements exactly, due to CalSync’s design to reduce the number of applications needed and enabling students to see a personalised timetable and all calendar commitments in one screen-view. CalSync simplified and standardised the University’s publication of students’ personalised teaching timetables. As well as streamlined and enhanced processes, CalSync delivered significant, daily time-savings, enabling students to manage personal calendars and teaching timetables in less time, and to view the latest timetable data on their phone. Extracting data from student timetables, CalSync presents a synchronised and personal view of all appointments and academic timetables within Outlook, Exchange and Office 365. Prior to CalSync’s implementation, University undergraduates took approximately 45 mins to an hour to collate exam timetables; this covered browsing current exam timetables by course, and then cross-checking and referencing emails containing notification of exam timetable changes. In addition, many students were required to regularly double-check exam timetables for any possible changes. By implementing CalSync the University has transformed the whole process, resulting in thousands of timetabling-hours saved for students across the whole University student population, significantly improving student experience and drastically reducing the amount of time students spend on timetabling at both the start of each semester, and before each exam period. “Calsync now underpins a very successful ‘timetable on my phone’ service to our students. A service that students use every day and value highly. Interested in what CalSync can do for your college?